What is Data Visualization - DataViz? The main purpose of data visualization is to communicate complex information or ideas in a clear, precise and efficient way, in a way that helps users to analyze and reason about data and evidence. Data visualization is both an art and a science, as the saying goes "a picture is worth a thousand words", or adapted to our times "a picture is worth a thousand lines of data." The rate of data creation is increasing year after year in a very remarkable way and is expected to increase even more thanks to the large number of sensors and devices that will be sending information at all times. All these data must be collected, explored, processed, stored, analyzed and finally become valuable information. We need to know how to display this valuable information in an appropriate and understandable way so that everyone can understand it and it can help with the decision making. Have a Clean Dataset: Have a clean data set in the format suitable for most viewing tools. Only communicative message: Select a single message, which will highlight in each graph. According to the audience, the type of chart and the level of precision needed. Choose the right graph: The form that a graph takes depends on what we want to transmit: for example, compare, distribute, etc. Design and color: Highlight what interests and what not, through the use of color. Whenever is possible, it is recommendable to add interaction in our data visualizations, since this fact facilitates and broadens the understanding of the information we want to convey. 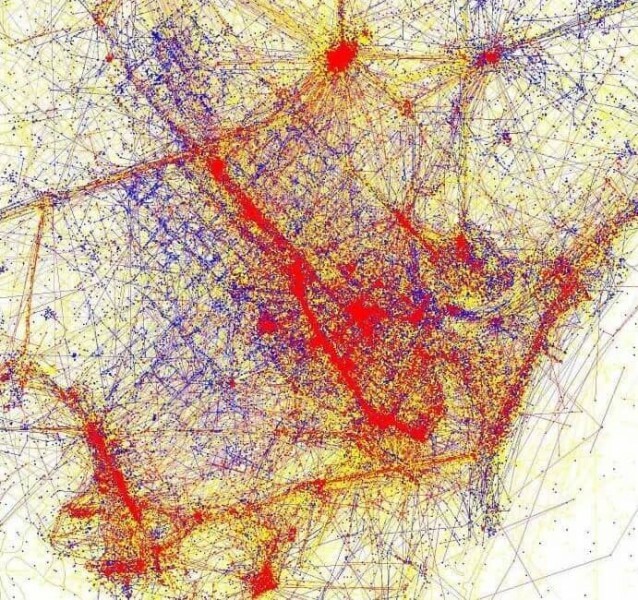 As an example of how we can find patterns, Eric Fisher created maps of the most touristic cities in the world based on the geolocation of Tweets in a work called "Locals and Tourits" that gives us a very precise idea of where they move (they Tweet) the tourists with respect to the people from Barcelona. Credits: Courtesy of Eric Fischer, under a Creative Commons Attribution-ShareAlike license. Base map data © OpenStreetMap contributors. 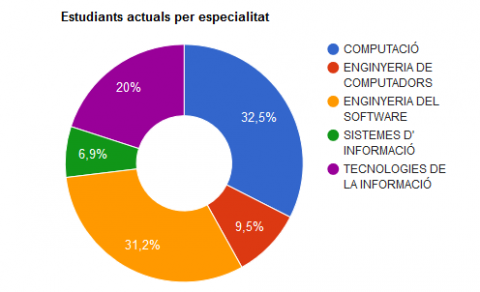 The inLab FIB has developed a Control Panel for the Faculty of Informatics that helps the decision making of the management team. One of the displays we have for the Control Panel and with which it can interact, is the country study on the mobility of our students, Both those who come to study the FIB (what we call "in") and those who are going to study outside (those we call "out"). Django REST Framework for the API that gets the data in JSON format. REMEDiAL - Automatic Reasoning, Model Execution and Ontology Data Analysis. What tools do you need to get started with Big Data?